Jerry Seinfield’s Net Worth Is How Much?? 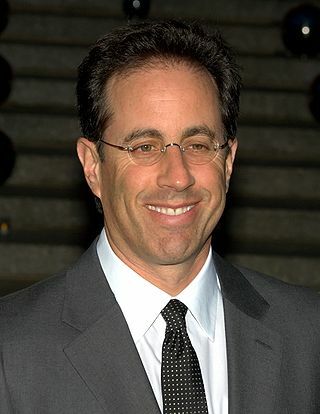 Jerry Seinfeld’s character on the Seinfeld comedy sitcom is the most centered and level-headed of his fictional friends on one of the funniest shows on television. Although he is part of the ridiculous antics, he somehow manages to keep a level head and questions the actions of his friends. In real life this talented actor, writer, film producer, stand-up comedian, voice actor, television producer and screenwriter is worth over 800 million dollars. Between the residuals from the character, Seinfeld, and his smart investments, Seinfeld is one of the wealthiest celebrities and comedians today. How did Jerry Seinfeld become wealthy? His character Jerry Seinfeld is definitely the reason. Seinfeld earned 267 million in 2004 from the Seinfeld show. He made enough that he turned down an offer of $5 million per episode so the show could continue into the tenth year. In 2005 and 2006 he earned close to 160 million for standup appearances and his syndication deal. Bill Gates’ Microsoft gave Jerry Seinfeld 10 million to star in his Windows advertisement. Seinfeld reaps another $85 million for comedic stand up routine for one year, 2008 – 2009. Seinfeld spends some of his fortune on his Porsche collection, one of the largest in the world. He owns 46 Porches, including a Porsche 959 valued at $700,000. He undoubtedly spends something on his wife Jessica Sklar. Married for 10 years, the couple has three children. Part of his income is spent on his $50 million estate in East Hampton, NY. The family owns an apartment in Manhattan with a view of Central Park. The Seinfeld’s also have a spacious home in Telluride, Colorado. Both Seinfeld and his wife give generously to charitable organizations, especially the one his wife Jessica started in 2001 called Buggy Baby. Buggy Baby recycles buggies, clothing, and other equipment for babies, to people who want and need the items. The Seinfeld’s are worth $800 million, but their life and what they stand for is worth so much more.